Which is why I was so giddy about this little guy coming to the office today! 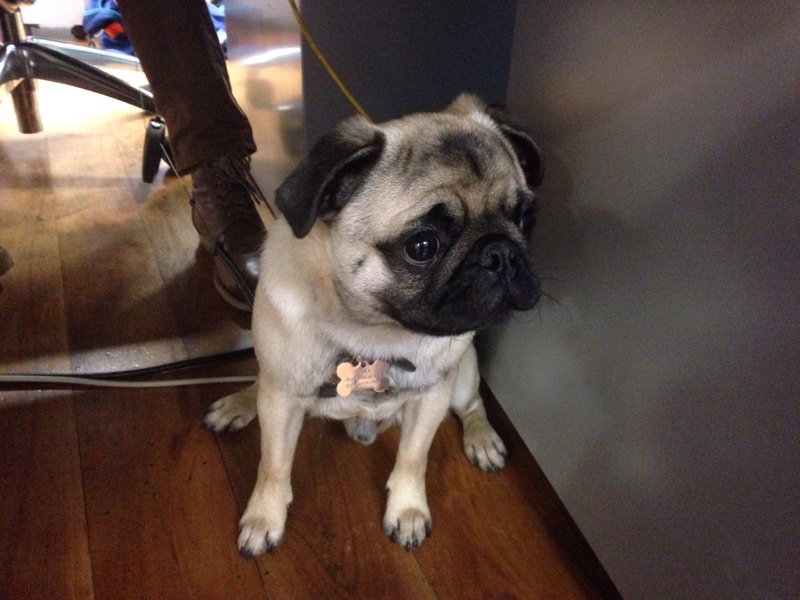 Meet Jake the Pug – isn’t he a cutie!? He was extremely excitable when he first arrived, but soon calmed down and was sat under my desk for a lot of the day, much to my delight.